Jammu, January 14: Sh. Rigzin Sampheal, Secretary Tourism, met Governor Satya Pal Malik at the Raj Bhavan here today. Sh. 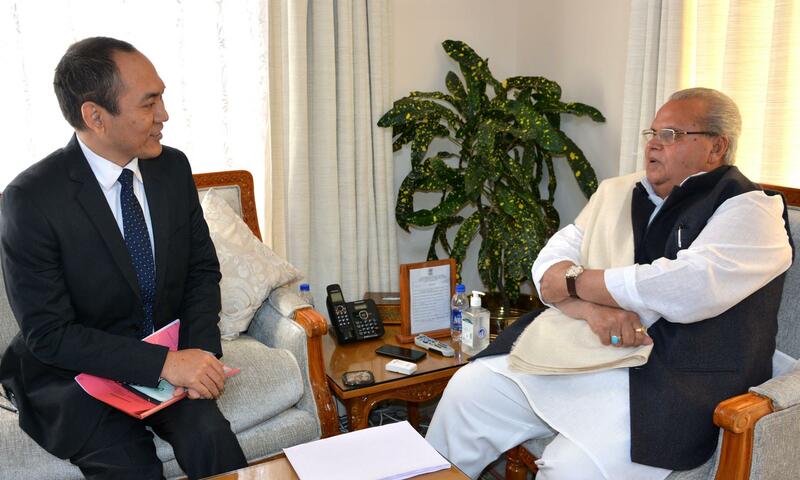 Sampheal informed Governor about the to-date status of ongoing tourism infrastructure projects in the State, tourist arrivals, and tourism promotion activities planned for promoting J&K as an attractive tourism destination throughout the country and abroad. Governor appreciated the efforts of the Tourism Department which has resulted in improvement in tourist arrivals with hotels showing full occupancy in the famous tourist resorts of Gulmarg and Patnitop. Governor advised Secretary Tourism to consider initiatives for the major tourist areas being thoroughly cleaned, their aesthetics improved and engaging skilled manpower and professionals for giving boost to tourism in J&K.